Shenandoah’s four main campgrounds are operated by the National Park Service and are open spring through fall and feature spacious tent, trailer and RV sites. Additionally, most of Shenandoah National Park, including its wilderness, is open to backcountry camping. 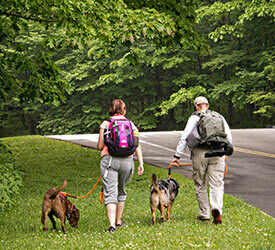 For more information on campgrounds and backcountry camping, visit the Shenandoah National Park website.